I’m tipping my hat to Graham on this one. He’s the one who reminded me of this a year or so ago, and I promptly forgot it. And it’s a little embarrassing, I’ll be honest. 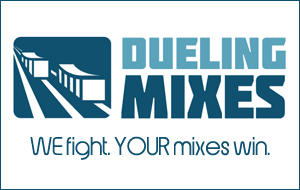 As you know, Graham and I are competing against each other every month as a part of Dueling Mixes. We each mix the same song, then members vote. In this week’s Ask Joe podcast, I answer some pretty cool questions. We cover everything from mixing vocals to how to decide how many tracks to record on a particular song.